Android is the most common mobile OS today. It is also the focus of hacking attacks, as it’s more connected and synced device with your everyday life. Android encryption apps guide helps you secure your android device. Encryption was once a technology many thoughts were relegated to spies and security services, but this tech has actually been around for a while in peoples’ everyday life. In the face of widespread internet surveillance, if you haven’t yet thought about getting an android encryption app, then it might be high time to consider it. Since the Android OS is open source, it is full of loopholes and vulnerabilities. Most common of them is to trick you into visiting websites with malicious codes in multimedia files such as images, video, and call-to-action clicks. An Android encryption app secures your device by encrypting your data traffic and covering the traces of your original phone location that are otherwise exposed to hackers and threats. NordVPN is a Panama based company that is friendly toward digital privacy. It offers 256-bit AES encryption with PPTP, L2TP, IPsec, IKEv2, and OpenVPN security protocols. The service has a presence in more than 57 countries and spread over 570+ server locations. The Android encryption app by NordVPN is very elegant and user-friendly and the settings are straightforward so that you don’t have to be a pro to understand it. The integrated IKEv2 protocol monitors the network changing behavior and adapts to it without dropping the connection, especially when you are on a public Wi-Fi. The servers are categorized according to needs such as P2P, Ultra Fast TV, Anti-DDoS, etc. which allows you to best utilize the server. The service has additional Smart Play DNS built-in to allow seamless video streaming. If you are looking for more security NordVPN offers double encryption (i.e. Onion-over-VPN, Double VPN) and IPv6/ DNS leak resolver. ExpressVPN is a British Virgin Island-based company outside the jurisdiction of FIVE eyes countries which means NO log policy is effective. It also offers 256-bit AES encryption with SSTP, L2TP, IPsec, PPTP, and OpenVPN security protocols. The service has expanded to 94 countries with hundreds of servers. The Android encryption app by ExpressVPN has revamped to be more users friendly and easy to use. The functions are simple and fairly automatic so you don’t have to tweak from the get-go. The service has Internet Kill Switch which halts all your Internet traffic if you lose a VPN connection, especially on Public Wi-Fi network to ensure your security. The server selection is automated and selects the nearest and speedy server automatically; you can also select the server manually and check for the speed test integrated into the app. All servers allow P2P and streaming so you don’t get into the details of server selection. Opera is the first company to add an ad-blocker feature in its web-browser both in desktop and mobile app. Now, after ad-block feature, it has introduced a completely free VPN service to its franchise. After its release, the app downloads reached more than a million in just a few weeks. The app also includes a built-in feature “ad-tracker and blocker” to stop third-party from tracking you, and a Wi-Fi tool for security to check the strength of the network. Super VPN by China developers is also a free unlimited bandwidth and unlimited free trial app. It does not require any registration and protect your privacy. The app provides 21 days free trial and after your free trial is over, you can use each session for 60 minutes. When your 60 minutes session is over you can reconnect to get 60 minutes more each time. Used by more than 7.5 million people shows its reliability among people. CyberGhost VPN have built-in ad-blocker and protect against malicious websites. It provides unlimited bandwidth and speed and does not log your data. CyberGhost bypasses restrictions on Netflix, YouTube, Facebook, and more. 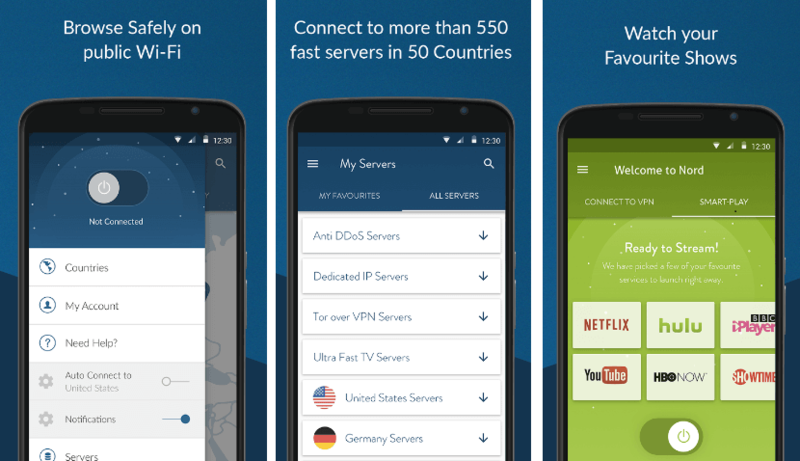 Tunnelbear VPN is also a common choice among many android user. It provides decent service with servers 20+ countries but only 500mb bandwidth limit PER MONTH. This free version app is only good for people who occasionally connect to the internet while on public places. Subscription prices are currently, $7 per month and $50 for a year. Free Forever! as this app says. Betternet is most widely used and common VPN app after Opera. It does not require any registration and no ads on the app. It offers unlimited bandwidth and speed. It also bypasses restrictions on SnapChat, Facebook and more. There is always more app to install. But, very few are genuine and reliable. Each app will always have bugs, before downloading any app read its user comments and developer interaction. Not only it gives you the idea of how the app really performs, how are its servers, and if it is full of ads. It will provide you the idea of how serious the app developer is about your privacy. Email Encryption: How to Encrypt your Email?